The ruling party Pakatan Harapan not only lost the Cameron Highlands by-election in a humiliating defeat of failed political play using racism card and gross inability to deliver 14GE Manifesto as Malaysia dwindles south, in a vicious cycle. THE Cameron Highlands by-election ought to have been a cautionary tale on what not to do in an election campaign. The fact that it was called because of a corrupt act of money politics brought into sharp focus the need to play it by the rules. Instead, there were simply too many incidents of rules being flouted and it was ironic that a number of these incidents involved the very party whose complaints of wrongdoing led to the by-election being called. “This by-election could have set the tone on what a clean and fair election should be like. But it was a cautionary tale that seems to have been wasted on the political players,” said political commentator Khaw Veon Szu. Both sides, said Khaw, are still struggling to live up to the expectations of New Malaysia. Barisan Nasional’s Ramli Mohd Nor, the first orang asli to join Parliament, won with a majority that was five times more than the winning majority in the general election (GE14). But as Umno supreme council member Datuk Seri Sharkar Shamsuddin admitted, Barisan won on the strength of Malay and orang asli votes. Pakatan Harapan candidate M. Manogaran’s support came largely from the Chinese and Indians. “The racial divide makes me worry for the future,” said Sharkar, who is also the assemblyman for Lanchang, Pahang. It is evident that the majority of Chinese still refuse to support Umno while the Malays reject DAP as anti-Malay and anti-Islam. There are several conclusions to be drawn from the polls outcome. The orang asli vote was very important but the glaring fact is that when Umno and PAS join forces, they can win without the help of the Chinese or Indians. But Pakatan, even with overwhelming Chinese and Indian support cannot win without Malay votes. There has clearly been a retreat in Malay support for Pakatan. 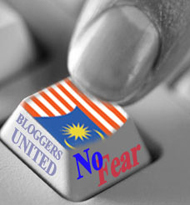 The anti-Icerd rally was proof of that – and the ruling coalition could be inching towards dangerous terrain unless it can regain the confidence of the Malays. It was quite a shock to Pakatan that despite the endless play-up of the FGV or Felda Global Venture scandal, Datuk Seri Najib Tun Razak is still popular among the Felda settlers in the Cameron Highlands area. The reason is that their lives were better under Najib than under the current government. Another stunning thing about the by-election was the thrashing that Pakatan leaders had to endure from netizens, be it on Facebook or Twitter. It has to do with the fact that the people judge you differently when you are in power and they expect more of you. Moreover, this is the age of social media where everything and anyone is fair game, be it Pakatan’s attempt to use the forestry department vehicles to campaign or Chef Wan’s remark about wanting to slap Najib. Both incidents were roundly scorched by Najib’s Facebook followers. Things that netizens used to hurl at Barisan are now being directed at Pakatan leaders and it has been hell for them to be at the receiving end. At the same time, much of Pakatan’s troubles were a result of own goals. Manogaran scored the first own goal at the start of the campaign with that racist remark that Malays do not even want to buy kuih from orang asli. Then, he broke election laws by entering a polling area wearing a shirt with the Pakatan logo. And after all that, he accused Barisan of playing the race card, causing a storm on the Internet. In contrast, his opponent Ramli could be the first Barisan candidate to have not said anything stupid during a campaign. Actually, he did not say anything of significance at all but his credentials as an ex-police officer from the Semai tribe put him in a class of his own. Even the once untouchable Lim Kit Siang was not spared especially after he made what could be one of the greatest boo-boos of his career when he offered to give full citizenship to the orang asli if they voted for Pakatan. The DAP leader was also heckled by Malay diners when he and Manogaran tried to lead a lion dance troupe into a restaurant. Lim and Najib were the two leading and opposing figures throughout the campaign. Lim has been so successful at blackening Najib’s image among the Chinese base but nothing Lim said seemed to resonate on Malay ground. He looked ancient, his speaking style is out-of-date and his Bahasa Malaysia is terrible. DAP needs a younger and more contemporary face and voice to reconnect with the Malays and to connect with the millennials whom, as former Jelutong MP Jeff Ooi pointed out, will decide the next general election. There is no denying that Najib, despite his 1MDB troubles, played an important role in the Barisan campaign. He was the one the orang asli wanted to see, hear and touch. He has somehow mastered the art of social media and his FB postings can draw as many as 25,000 likes within hours as well as thousands of comments. A video of him driving a jeep through the rushing waters of a river got more than 53,000 views. He has four million followers on Twitter, 3.7 million on Facebook and 556,000 on Instagram. But more than that, he has ignited some sort of Malay groundswell especially after the way he took on Pakatan leaders like the Lim father-and-son team as well as Federal Territories Minister Khalid Samad during the highland campaign. Some imagine that he is trying to make a comeback but they could not be more wrong. Najib’s resurgence has to do with the fact that he is willing to be the opposition voice that Malays are looking for to articulate their discontent with the current government. Najib’s “Malu apa Bossku” slogan has struck a chord with the younger set of the B40 who obviously do not like leaders who constantly label them as lazy. “Malu apa” means “so what?” and it encapsulates that anti-establishment sentiment of the underclass. He has tapped into the discontent of this group of young Malays who feel marginalised at the moment. The Cameron Highlands polls gave Najib the stage to project his newfound role as a leading opposition figure and it is possible that he helped Barisan extend their Malay support beyond Cameron Highlands. But will he be able to bring his opposition voice to the next stop in the Semenyih by-election? There are other interesting factors in this political test. The Federal Government leaders all out gone down to Cameron Highlands, for the campaign. Prime Minister Tun Dr Mahathir Mohamad, Deputy Prime Minister Datin Seri Wan Azizah Wan Ismail, Finance Minister Lim Guan Eng, Defence Minister Mohamad Sabu, Minister of Economic Affairs Azmin Ali, Minister of Agriculture Salahuddin Ayob, Human Resource Minister Kulasegaran, all and sundry. Chinese Chauvinist DAP Emperorissimo Lim Kit Siang was very active of them all in Cameron Highlands, even in the Orang Asli settlements. That is not withstanding PKR President Dato Seri Anwar “Mat King Leather” Ibrahim’s campaign, trying to wrestle the western most Pahang parliamentary constituency from BN. It was a full force, trying to capture a seat which BN marginally able to defend in 14GE just nine months ago. Now with lesser men and women in the fields and much lesser resources, BN gone to the trenches for the defence of Cameron Highlands. The conclusion is very interesting. Even as the ruling party and Federal Government, PH failed to win over the confidence of the Orang Asli. What is even more interesting, the Malays demonstrated ‘Political Wisdom’. It was already a known fact all along PH even as the Federal Government won’t do well in the FELDA areas, all on the East of the constituency. Especially with an arrogant DAP candidate like Manogaran, who don’t even have the audacity to register as the local voter in his third straight attempt to represent the Cameronians. The UMNO strategy during Prime Minister Dato’ Seri Mohd Najib Tun Razak’s tenure then as UMNO President VII to befriend and work with PAS finally paid off. Tactically, it was an MT UMNO and MP for Pasir Salak Dato’ Seri Tajuddin Abdul Rahman who managed to get UMNO President Dato Seri Dr. Ahmad Zahid Hamidi and PAS President Dato Seri Haji Hadi Awang and 30,000 of their members to converge for solidarity as an Ummah in Pasir Salak nine weeks ago. It was a thunderous show of force the Malay-Muslims could be united for a common cause. Thereon, under UMNO President VIII Dato’ Seri Dr. Ahmad Zahid Hamidi the close co-operation finally gel into tactical when the massive Malay-Muslim rally against ICERD six weeks ago saw 300,000 people converged in Dataran Merdeka. Of course, it’s translated further in the bond for the cause of Fireman Muhammad Adib Kassim tragic murder which escalated from racism and seditious calls by HINDRAF and DAP leaders still yet to be solved. The Malay-Muslim bond tactics which saw shifts in votes from traditional PAS voters is very apparent. KUALA LUMPUR, Jan 28 — Pakatan Harapan’s failure to secure the Bumiputera support needed to win the Cameron Highlands by-election exposes the pact’s continued weakness among the country’s majority, according to DAP’s Ong Kian Ming. The Bangi federal lawmaker said the Saturday outcome also confirmed his earlier prediction that the pact’s fortunes would hinge on its ability to improve on the Malay and Orang Asli communities’ support from last year’s general election. DAP’s M. Manogaran was easily defeated by Barisan Nasional’s direct candidate, former Orang Asli police officer Ramli Mohd Nor, by a margin of over 3,000 votes or a magnitude more than the 597 votes from the 14th general election. From a preliminary analysis of the result, Ong said it was still too early to deduce the complete reasons for PH’s inability to crack the BN stronghold. “One thing, however, is clear. Just because PH is in power at the federal level, we cannot assume that there will be a natural shift in support towards the federal government among those groups who have been seen to be more reliant on the support provided by the federal government. “This would include the Orang Asli communities and the Felda settlers, two of the most important voting groups in Cameron Highlands,” Ong said in a statement. He added that the ruling coalition must now redouble its efforts to win the “hearts and minds” of voters from Malaysia’s dominant indigenous communities in addition to retaining its current support from others in the country. Ong also said lessons from the Cameron Highlands poll will provide the basis for the pact’s action plan to retain federal power four years from now. According to Ong’s study of data by voting districts, PH largely retained its support from Chinese voters and improved among the Indian community, but was not able to gain any ground among Malay voters. The Cameron Highlands poll was the first won by BN since its general election defeat and provided a glimpse into the possible political shift that could be achieved through an organised partnership with Islamist party PAS. PAS sat out the by-election and threw its full support behind Ramli. The Islamists had secured over 3,000 ballots during the 14th general election or approximately the same number gained by BN in this poll. The writings were already on three wall. Post the two massive Malay-Muslim rallies and demonstrated the cohesiveness of tactical co-operation between UMNO and PAS and coupled with the public dismay on the murder of Fireman Muhamad Adib KASSIM still unsolved and the rakyat’s grouses on the PH’s delivery of promises, it was just about getting there. Intact, MT UMNO member and Pasir Salak MP Tajuddin already nearly precisely projected BN’s win of 3,000 votes majority nine days before polling. KUALA LUMPUR 17 Jan. – Barisan Nasional (BN) diyakini mampu mempertahankan kerusi Parlimen Cameron Highlands dalam Pilihan Raya Kecil (PRK) kali ini pada majoriti yang lebih besar. Emperor Bonaparte and Marshall Ney saw their Waterloo in the fields ten miles south of Brussels in the afternoon of 18 June 1815. On the afternoon of 26 Jan 2018, Dr Mahathir, Kit Siang, Guan Eng, Anwar, Wan Azizah, Kulasegaran, Mat Sabu, Salahuddin, all and sundry, got their egg straight in the face. Unlike in plains of the farm in Belgium 203 years earlier, the got rotten tomatoes in the highlands.